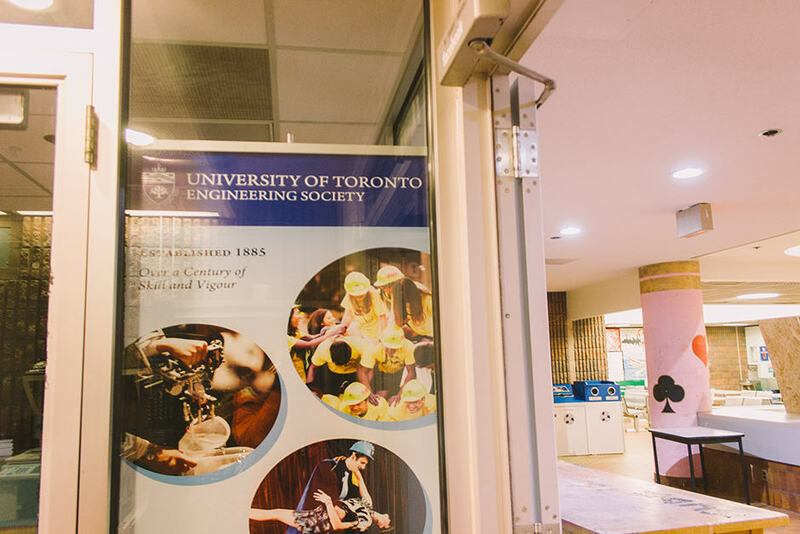 After nearly five years of lobbying to divert their membership fees from the University of Toronto Students’ Union (UTSU), the Engineering Society (EngSoc) has reached a deal with the union. In a revised response to a report that EngSoc released in 2010, the UTSU announced that it will continue to meet with EngSoc officers to come to a fee agreement. “[The] Union hopes to change what has been a previously neglected relationship into a productive one,” reads a portion of the UTSU’s response. Ryan Gomes, UTSU vice-president internal & services and author of the report, explained that the UTSU’s original response did not productively address EngSoc’s concerns. “I am issuing a revised response with the hope that it will act as a first step in repairing the relationship between our organizations, as well as provide a frame work through which other dissatisfied colleges and faculties may have their concerns addressed,” Gomes wrote in the response. The 2010 EngSoc report raised a number of issues with the UTSU’s plurality voting system — among them, the report accused the system of not being representative of minority views, not being impartial towards independent candidates, and enabling vote splitting. . Instead, the report favoured preferential voting — specifically, the single transferable vote (STV) system, in which the voter lists all the candidates in the order of preference. EngSoc currently uses the STV system to elect its representatives. In the revised response, the UTSU acknowledges the EngSoc’s suggestion to adopt a new voting system that implements more proportional representation; the Elections and Referenda Committee has been tasked with investigating the means by which this can be accomplished. Another concern expressed by the report is the lack of engineering and professional faculty student representation on the UTSU’s executive committee, which does not allow members to be full-time students. As a result, EngSoc felt that the UTSU offered little to engage engineering students or professional faculty students. EngSoc put forward the idea of a professional faculties commission to be created with the intention of bringing the concerns of those students to light. The UTSU has responded to the report by committing to the improvement of the professional faculties committee’s assemblage and realization, rather than to create a professional faculties commission. The revised response notes that the UTSU will look further into the suggestion. Regarding part-time students’ ability to serve on the executive committee, the UTSU has launched a proposal to remove the part-time requirement for holding executive office so that executive committee representation for professional faculty students can be possible. The UTSU’s policy & procedures committee is currently voting on this change, as well as investigating the creation of a “vice-president, professional faculties” position, an executive position that would be elected by professional faculty students. EngSoc also advocated the implementation of a levy renewal referendum every three years, akin to the referenda that EngSoc holds to re-approve individual levies. To EngSoc, levy renewal is important because the student body is revitalized at every generational cycle. According to the UTSU’s revised response, the union recognizes the justification for levy renewal and is keeping the EngSoc’s three-year levy renewal referenda suggestion in mind. Another of EngSoc’s concerns was the apparent lack of transparency in the UTSU’s governance in terms of the publication of their documents. EngSoc proposes to ameliorate, and the disclosure of its organizational structure, including disclosure of salaries and hiring procedures. The UTSU claims to be committed to transparency and intends to be more proactive about making documents available online. The UTSU’s governing documents, as well as board packages and agendas, are currently posted on the union’s website. As for the disclosure of organization structure of salaries and hiring procedure, the UTSU declared its obligation to protect the income of its employees. The hiring procedure is overseen by executives and clear at the appropriate hiring time. EngSoc sought to improve the advertising and scheduling of UTSU meetings, which they alleged neither promote member participation, nor accommodate the standard working hour timetables of engineering students. In the revised response, the UTSU pledges to schedule at least half of the meetings outside of standard working hours to encourage the attendance of professional faculty students. EngSoc’s 2010 report contains a section on duplicate services, wherein it argued that the UTSU should defer to EngSoc for duplicated services and should transfer the marginal cost, as well as any fixed overhead costs for the duplicated services, to EngSoc. The report suggests setting the amount of money to be transferred to EngSoc, in accordance with the agreement between the UTSU and the University of Toronto Mississauga Students’ Union (UTMSU), in which a portion of the fees is remitted. Examples of duplicated services listed in the report include yearly planners, orientation programming and events, along with clubs funding and affiliation. As a member of both the Engineering Students Societies’ Council of Ontario and the Canadian Federation of Engineering Students, EngSoc argues that it provides more exhaustive representation and advocacy to its members on academic matters, of which the UTSU is less licensed to contribute. The current UTSU structure, however, does not permit unilateral separation for constituencies. With this, the union hopes to address EngSoc’s concerns regarding representation and duplicate services with a fee agreement rather than fee diversion. As EngSoc suggested in its 2010 report, the fee agreement is to be modeled on that of the UTMSU, provided that EngSoc can meet certain requirements. These include a demonstrated need for the agreement, a similar mandate to the UTSU, proof of EngSoc’s ability to provide services of a similar nature to the UTSU, and a quorate referendum with a clear majority in favor of the agreement. The 2013 referendum satisfied the latter requirement, with a turnout of 28 per cent, 95 per cent of whom voted in favour of fee diversion. The two factions are still in the process of discussing the agreement. “The UTSU and the Engineering Society have yet to negotiate a percentage on any agreement,” stated Gomes. Ernesto Patiño, EngSoc president, said that EngSoc would make a public announcement once the details of the agreement have been settled.